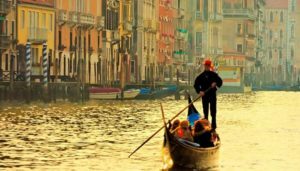 Traveltipy > Italy > Venice » How much costs a trip to Venice? How much costs a trip to Venice ? Venice is unlike any other city in the world and, unsurprisingly, it is often considered to be the world’s most romantic city. Venice is also one of the greatest urban engineering feats you’ll ever witness: the entire city is built over a hundred islands spread across a marshy lagoon. Visitors come here to wander endlessly in Venice’s maze of cobblestone streets and sail along its canals. However, Venice is Italy’s most expensive city, there are practically no youth hostels, food is usually pricey, and the city is often thronged with tourists. That being said, Venice is one of those places that everyone needs to see at least once in their lives, and you better hurry, because the city is well on its way to become the next Atlantis! Is the cost of living high in Venice? 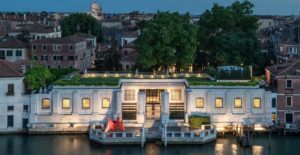 Venice being a highly-coveted tourist destination, it’s no secret the city’s cost of living is higher than other Italian cities such as Milan and Rome. Few backpackers venture into this city, unless they have decided to exceptionally exceed their travel budget. The beauty and reputation of Venice will be reflected in what you will pay for your all your Venetian accommodation and food. It’s the price to pay to experience one of the world’s most beautiful places! Before delving into more detail, be aware that a budget of €70-100 per day will be required if you plan to stay in Venice while being careful with expenses. 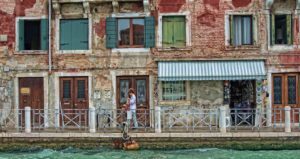 How much costs accommodation in Venice? 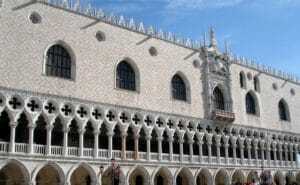 Accommodation, as is often the case when travelling, will represent the largest part of your budget while in Venice. Some youth hostels offer dormitory beds from €9 per night. Of course, this very low rate is not applicable throughout the year, but it is possible to find accommodation in Venice but for less than €20 per night. To enjoy a minimum of comfort while remaining centrally located, you should rather plan between €40 and €100 per night for your accommodation. What is the cost of food in Venice? 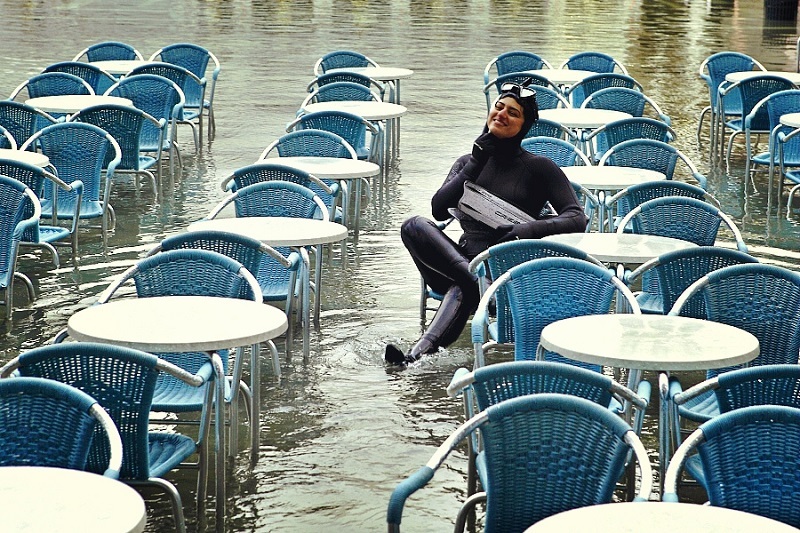 Venice is home to very good restaurants that offer local cuisine. Though Venetian pizza has the reputation of being one of the worst in Italy, local specialities such as polenta and squid ink risotto are generally delicious and highly recommended. To check a restaurant’s quality, the easiest solution is to use an app like TripAdvisor and read a few reviews before choosing your next eatery. In general, it’s best to avoid places whose waiters stand outside to draw you in. Second on your expenditure list, good food in Venice will cost you on average between €30 and 60€ per day (this excludes high-end restaurants). Water taxi fare : €8.90 per minute + €1.80 per minute. A supplement of €6 applies if the water taxi picks you up at your hotel. As mentioned above, Venice is an expensive city, but as everywhere, it is possible to save money here and there to cut your spending to a minimum. The advantage here is that there are no cars and everything can be visited on foot. You will only pay for transport if you decide to hop on one of the vaporetti. Transport-wise, it is recommended to book online in advance a transport card (ACTV PASS) “to the islands and on land” (vaporetti and bus) for 1 day (€20), 2 days (€30), 3 days (€40) or 7 days (€60). 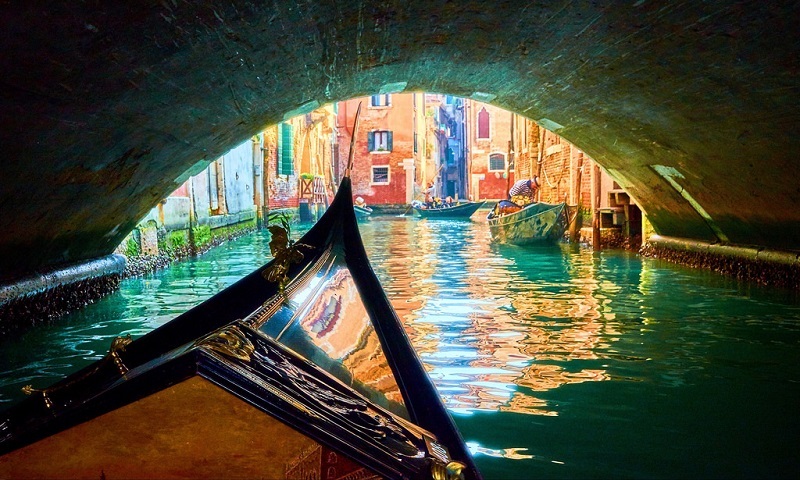 Read our article on transport in Venice for more information. The high season extends more or less from early April to late June, and later in the year from September to October, as well as long weekends (Ascension Thursday, Pentecost, Christmas, New Year). 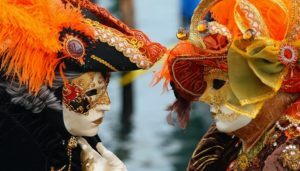 Don’t forget that the Venice Carnival causes prices and bookings to rise significantly. July and August are considered low-season months. Prices then generally fall by 20-25 %. From mid-November to the end of March (except the end of the year and the Carnival), most chic hotels divide their rates by two. Finally, don’t forget that Traveltipy has created a travel budget calculation tool to help you figure out how much your trip to Venice will cost according to your travel profile (backpacker, spendthrifty tourist, comfort-seeking, or luxury-indulgent traveller). You will have noticed that all the aforementioned prices listed above do not take into account the price of the plane ticket to Venice. You can find a cheap flight to Venice on Skyscanner.